If you have made your own texture packs and would like to show them off, this is the thread for you. 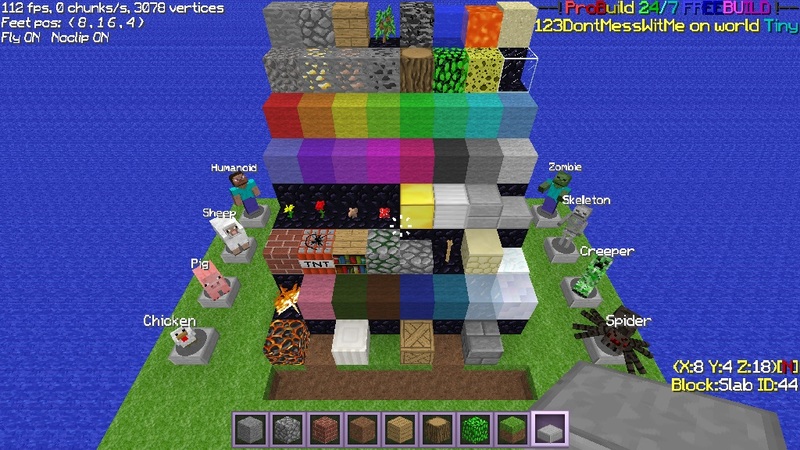 If you don't know how to make a texture pack and would like to try it out you can follow this simple guideline Here The only problem with textures packs so far is animated textures break, once they have implemented them I will update my texture pack. I have made my own, and it's full CPE compatible. And I would love for you to try it out. Have fun, and go make some awesome texture packs! Very good Idea. It looks nice 123. Thanks everyone. Also any and all suggestions/feedback is welcomed. I might even try to make it into a premium resource pack also if this gets popular. How do I use it on CC? Download the zip file. Then in the game in the options click on "Change Texture Pack" click on "Load file" load the zip then click on it in the list in the game. Thanks man, I really needed the help. Eh. what software u make the terrain? Use an upload website, or even DropBox like I did and just post it here. Here is a template you can just put into a reply. Should all texture packs be showcased in this thread? I was thinking that too, so I guess I will be creating a new thread for the one I made.